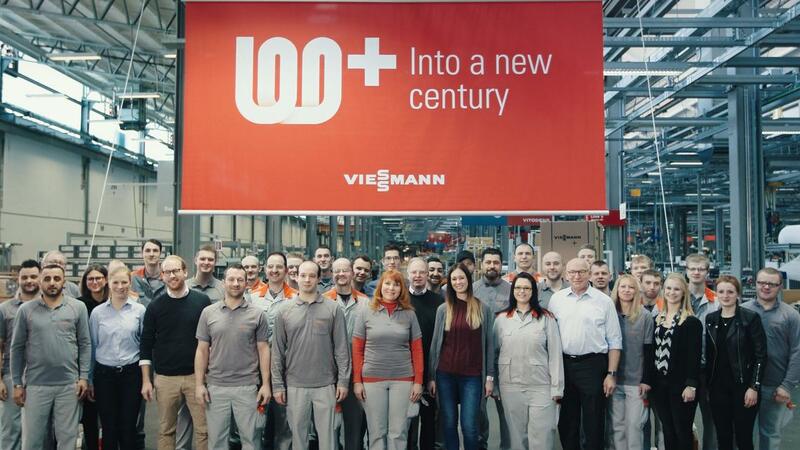 2017 is Viessmann’s 100th anniversary year. So we have every reason to celebrate. But we’re also looking forward to the next 100 years! Here’s to a new century! and the certainty that we can only satisfy a basic human need – the need for well-being – in partnership with our employees and business associates. Embarking on a new century is always a milestone that heralds new technologies and new approaches. Let’s look forward to a year filled with new ideas and emotional moments together. After all, it isn’t every day you turn 100. Entering a new energy age! By 2050 the world will be generating power without fossil fuels. The ways in which we use energy will change radically. This development is being driven by digitalisation. Our lives will be increasingly connected – from self-driving cars transporting us from A to B to smart homes. Take a look at tomorrow’s intelligent use of energy. 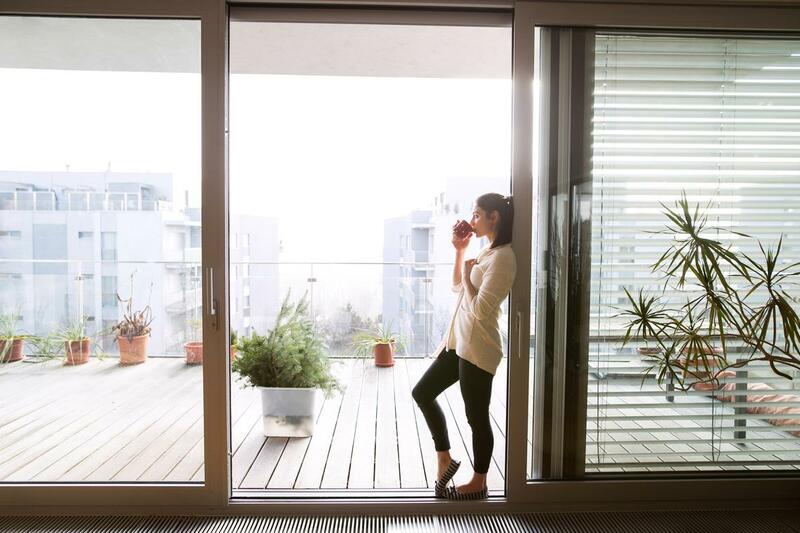 Future homes will meet individual residents‘ comfort needs. For example, when a family member walks into the living room, the thermostat will automatically adjust to their preferred temperature. Homes in the future will replenish their power storage units in the daytime. At night, when everyone is asleep, it will recharge e-bike and electric car batteries so that they’re ready to go with a full battery the next morning. Green electricity for heating etc. The house of the future won’t just provide green electricity for electrical appliances or the car, it will also deliver heat from renewable energy sources. If the sun hasn’t shone for a while and the house battery is running low, the electric car will take over as the power source. Homeowners today who produce more green electricity than they need feed it into the public grid. In future, they’ll be able to supply surplus energy to their neighbors. 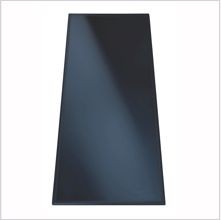 The 1980s were the decade of the biferral composite heating surface, which made it possible to operate furnaces at low temperatures and achieve energy savings of up to 40% without any risk of corrosion. 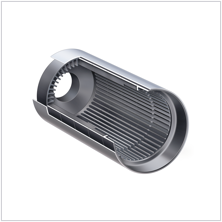 1999 saw the launch of the Inox-Radial heat exchanger. 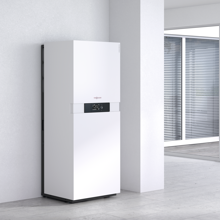 In modern boilers, it ensures that as much waste heat as possible is transferred back into the heating system. 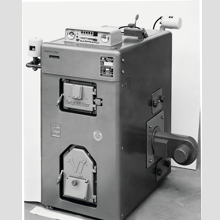 Back in the 1960s the Duo furnace – a precursor to oil heating – was in high demand. It could be used to burn both solid fuels such as coke and oil, and had an instantaneous water heater to heat up drinking water. 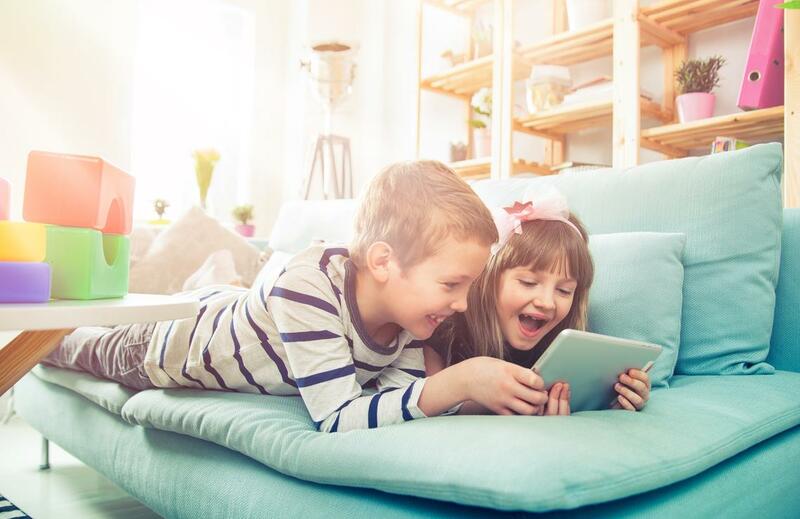 Today, Viessmann’s hybrid appliances intelligently link different heat sources. They can use renewable energies or oil and gas, and they automatically select the most cost-effective option. 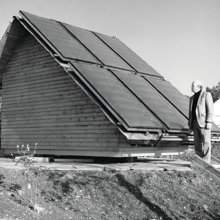 Long before many home owners switched over to green energy by installing photovoltaic modules on their roofs, in 1976, Viessmann began building solar collectors. 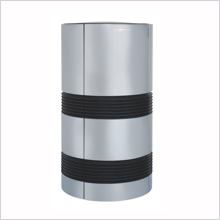 Every year, Viessmann’s modern flat and vacuum tube collectors help to reduce the energy required for heating and hot water applications by one third. In 1978 Viessmann launched the first of its heating pumps that use the air, the ground, the sun and water as energy sources. 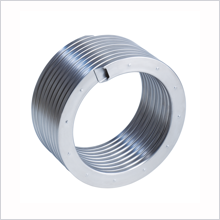 Today the company manufactures the Vitocal family of high-efficiency heating pumps that are powerful enough to heat an entire apartment building and provide it with hot water. 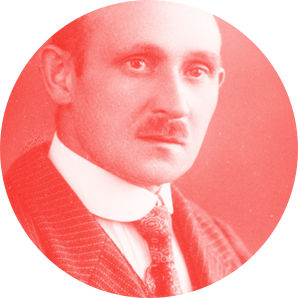 Master locksmith Johann Viessmann set up his own business in 1917. At first he repaired farm machinery, then he branched out into other areas. He designed a new generation of furnaces that delivered heat faster and used less fuel. In 1928 the company started building furnaces. 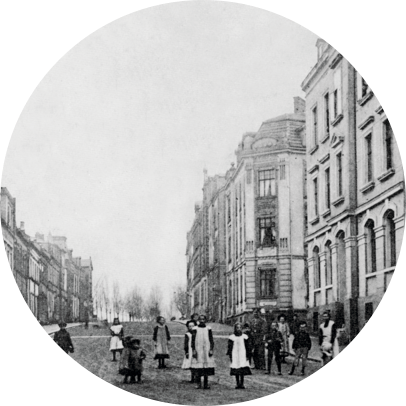 Johann Viessmann set up his business on Alsenbergerstraße in Hof. 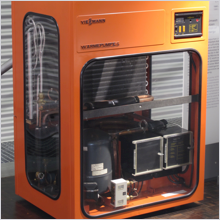 Viessmann’s technological expertise helped him to quickly build a very successful enterprise. 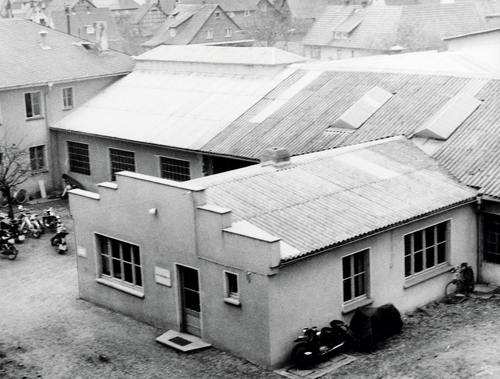 In 1937 Johann Viessmann set up a factory in Allendorf on the river Eder which was to become the Viessmann Group’s main plant. 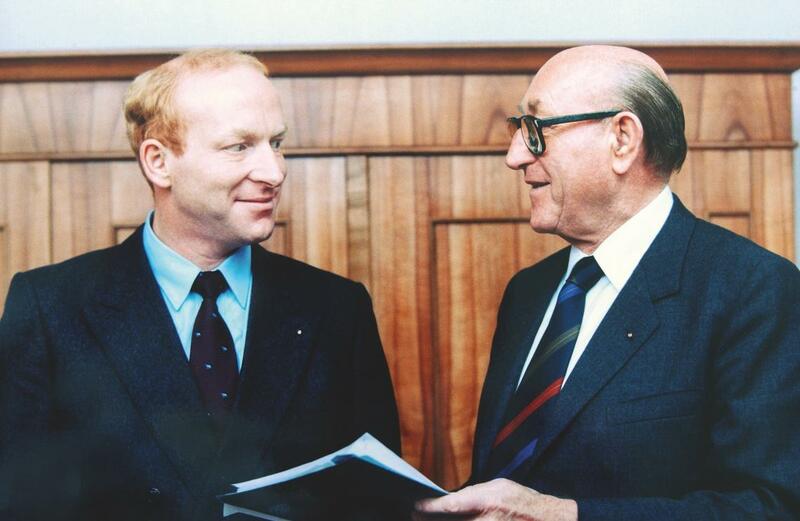 In 1947 his son, Hans Viessmann, took over the company and its 35 employees and went on to develop it into a major industrial enterprise. 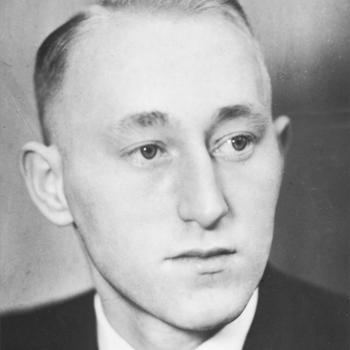 During the German economic boom of the 1950s the founder’s son Hans Viessmann modernized the company’s production facilities to enable substantial growth in both Germany and other markets. The first factory building in Allendorf. 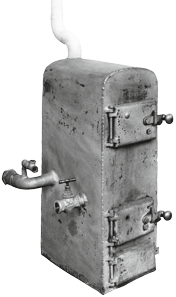 Allendorf was building modern furnaces a long time ago. By the 1960s the factory had around 350 employees and manufactured some 5,000 furnaces every year. 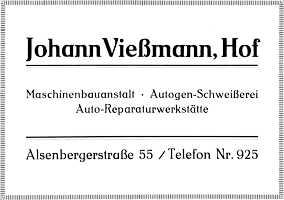 At the end of 1991/beginning of 1992 Hans Viessmann put his son Martin in charge of heating technology. His two main focuses were energy efficiency and international expansion. Martin Viessmann increased exports from 10 to 50 percent of total sales, which involved opening branches in eastern Europe and Asia. The in 2017 opened Technikum increases efficiency in research and development. 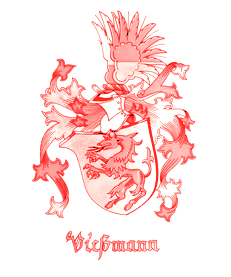 Maximilian Viessmann came on board in 2016. He’s taking the company forward into the digital age.